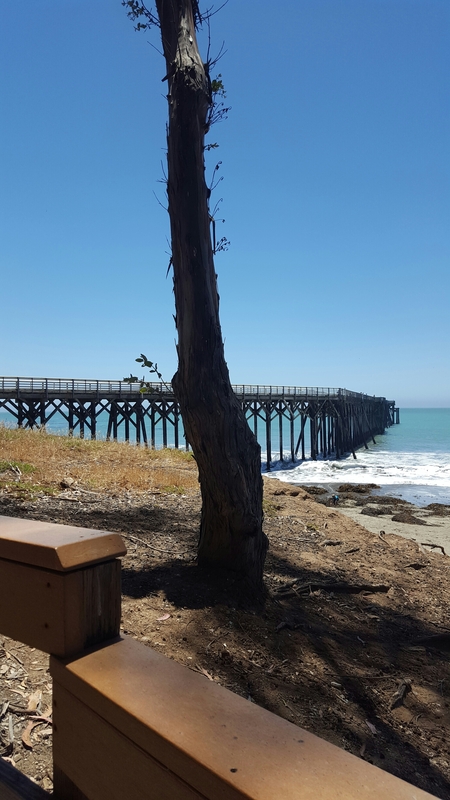 My American road trip – Cost. I was atrocious at updating this while I was road tripping across America but honestly, I was just trying to enjoy my time there and only spent time on the Internet when I was adding occasional photos to our instagram have a look here if you want. Basically, as the title says I now have the post travel blues. 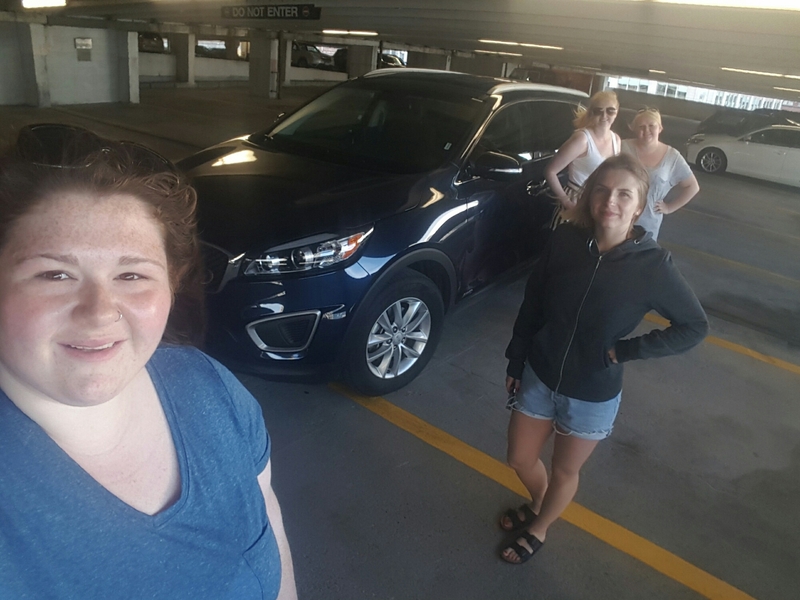 Driving across America with my best friends was undoubtedly one of the best experiences of my life (despite the couple of hiccups we encountered at the beginning of our trip). I’m still in total disbelief that we actually done it. We drove 5044 miles across America. We seen and done some amazing things, I think the best parts were definitely the beautiful sights I seen along the way. Below is just one picture from every place we went. Above is our (second) car. We called her Monique; there is a story behind why we called her this but I’ll save that for another time. Obviously you all know where we are. Times square baby! Obviously we found ourselves visiting big Abe L.
Abingdon for us was just a stopover, Needless to say I didn’t get many pictures apart from this from our motel window. Are you from Tennessee? 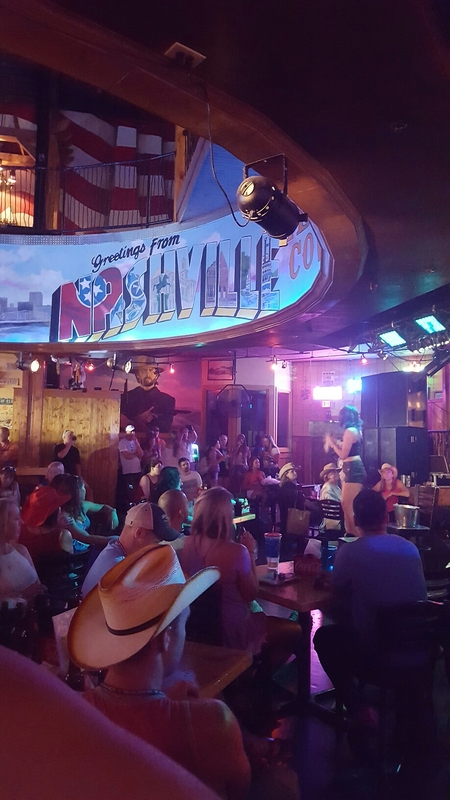 Cause you’re the only ‘ten I see’ .. Unbeknown to ourselves (until we stepped out a taxi in the main streets) we were in Nashville during the CMA Music Festival which did mean for us there was an epic crowd of people. 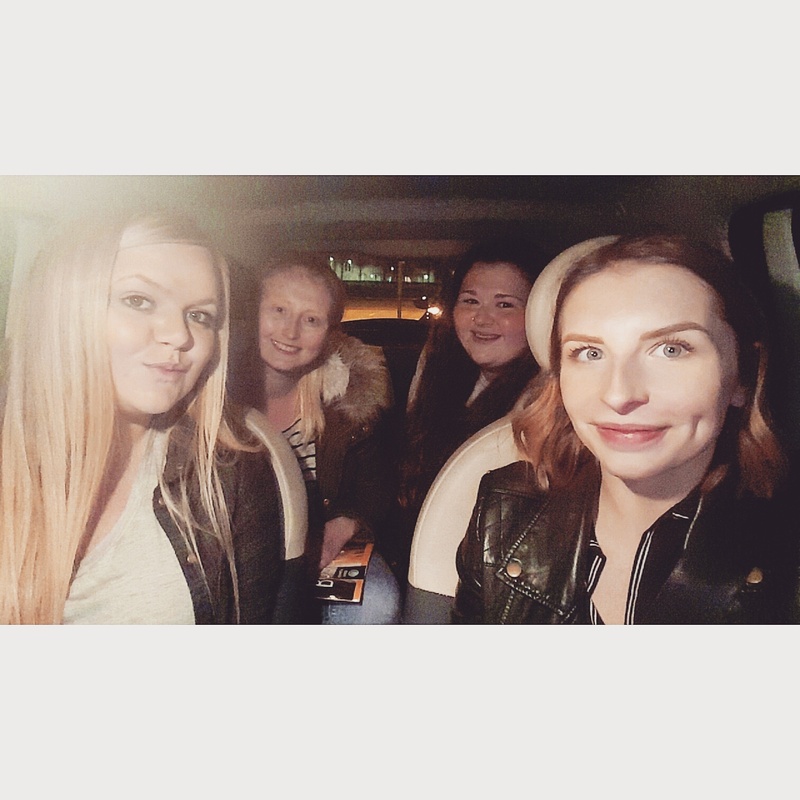 We didn’t get to see too much as we were in 2 bars before my group of friends got absolutely steaming and I had to drag them home. I completely fell in love with NOLA, and with the Frenchmen Art Gardens especially. What a beautifully magical place. The work from local artists is just something else, they’re all so very talented. We also found ourselves in Cats Meow on Bourbon St. Needless to say (being Scottish) we found ourselves singing 500 miles by the proclaimers on stage.. who doesn’t love karaoke? Ennis was a small town stopover for us, and we’re all so glad we did stop over with here. 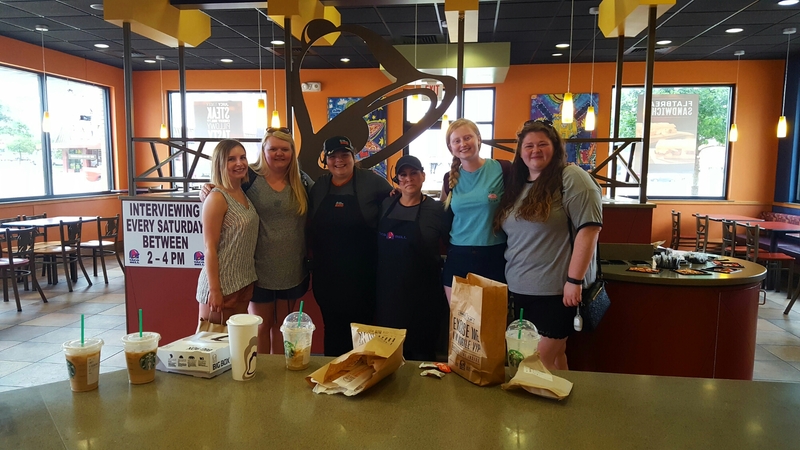 We popped into the taco bell before we left and the staff were so lovely! They had never met anyone from Scotland before and so asked to get a picture with us. Made us feel so so welcome. Cadillac Ranch. I was really looking forward to going here, and I definitely had so much fun. Spray paint in hand it was fun leaving our mark here, at least for a little while. We just had a little overnight stop in Farmington so there aren’t many pictures. 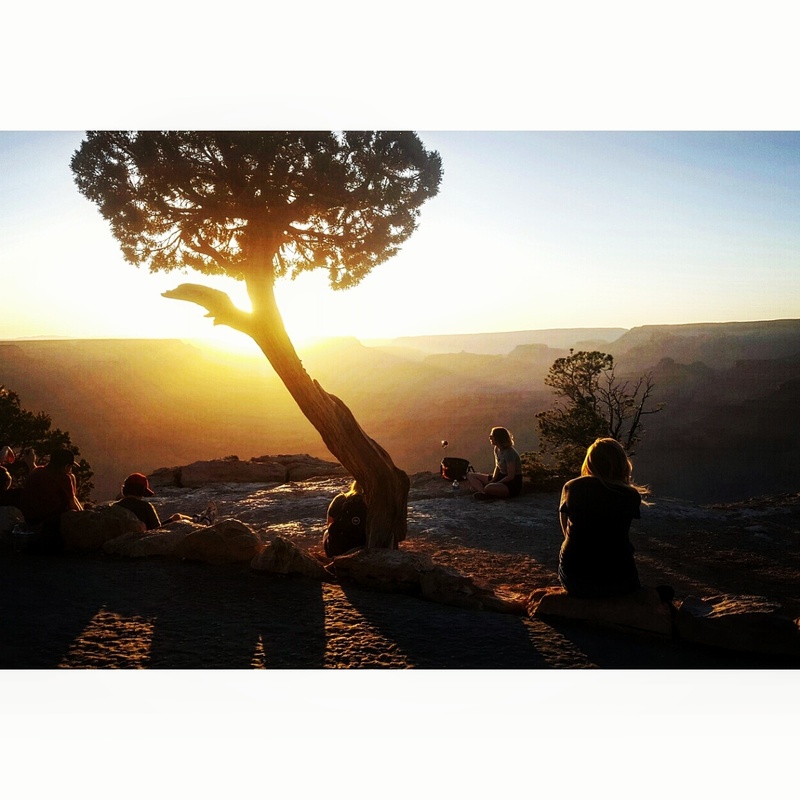 My fear of heights kept me well away from the edge but it meant I got to take beautiful pictures like this while we watched the sun set over the Grand Canyon. We stayed at the Yavapai Lodges, if you book early enough to stay here it’s work it. Such an incredibly beautiful place. When in Vegas.. it always lands on black. We got to spend a few days exploring this beautiful city, although I know I have to go back as there’s so much more for me still to see. 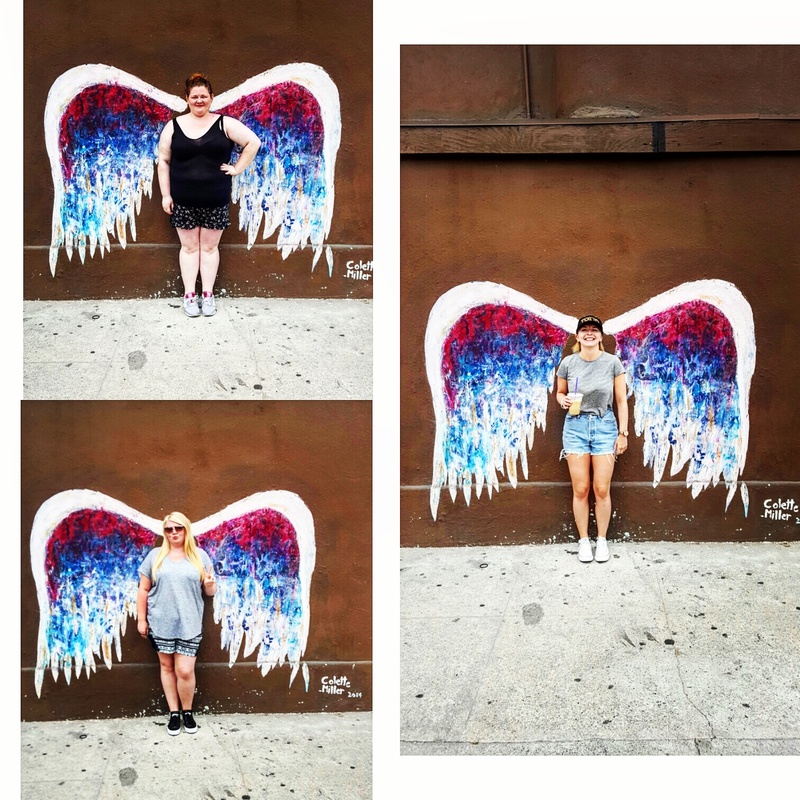 We made sure to find a set of angels wings. Because who can leave LA the city of angels without becoming an angel? Beautiful little place. We spent the previous night on the beach watching the sun set, drinking a cider and running into the sea. 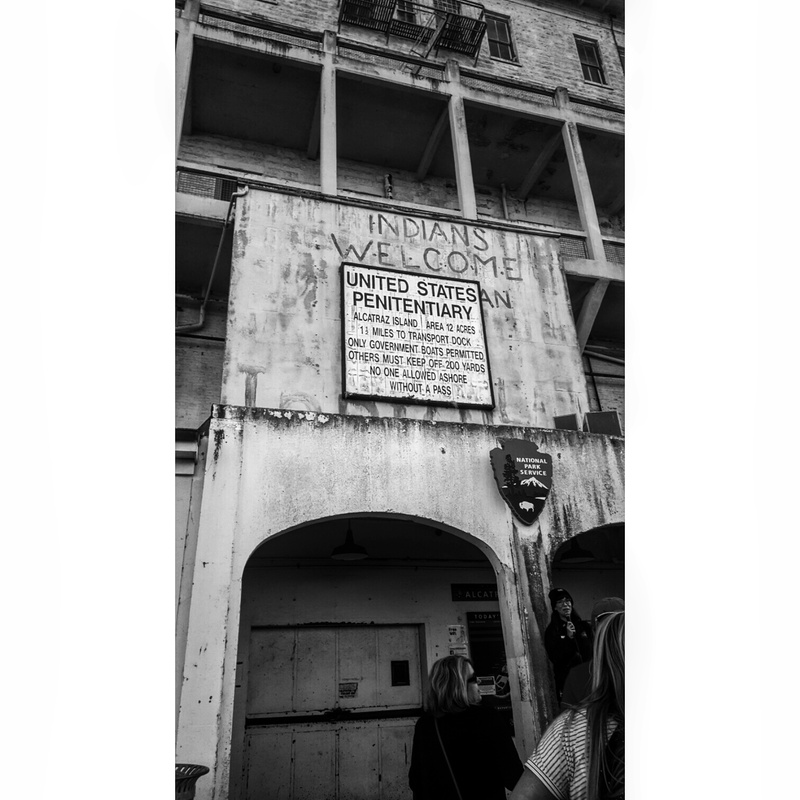 Can you say you’ve been to San Fran if you didn’t go to Alcatraz? We went on the night tour and it was amazing seeing this place, hearing what things were like, learning more than we previously knew. We spent 3 hours in this place, on this island and it was eerie. I can’t imagine how it felt for the prisoners. I had the trip of my life and I’ll be sharing more stories and pictures from our month long road trip in the future. Have you been to any of these places? Are you going? Tell me your favourite parts or what you’re most looking forward to! I just want to do it all over again. 6 days. It’s only 6 days until we fly into Boston and begin our road trip. I thought over these next couple of days I would use the number of days to do a list of different places I can’t wait to go/things I can’t wait to do etc etc. Today I’m going to start with the top 6 places I can’t wait to go. 6. Boston – it’s the first place on our trip. We fly into Boston, stay for a few days then collect our car and move on. I’m really looking forward to Boston mainly because it’s going to be the birthplace of this trip. I know Boston is surrounded by so much history and I can’t wait to explore. 5. San Francisco – I’ve heard a lot of people saying that San Fran is one place they wouldn’t be too keen on going and I really can’t understand why? 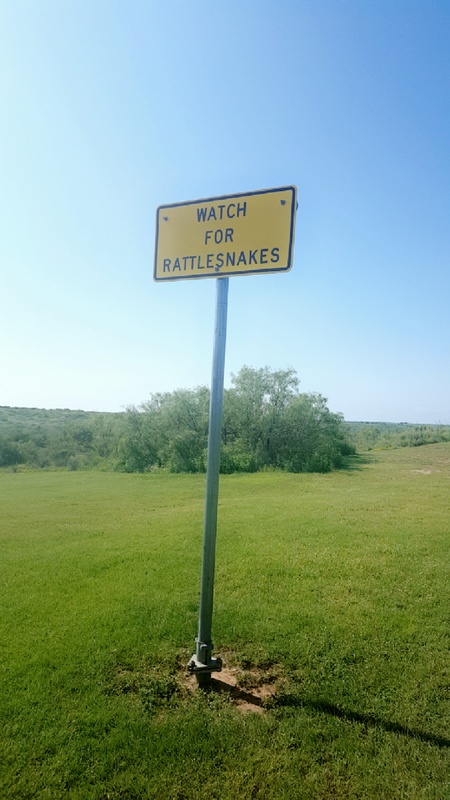 It’s firmly on my list of places to go. 4. 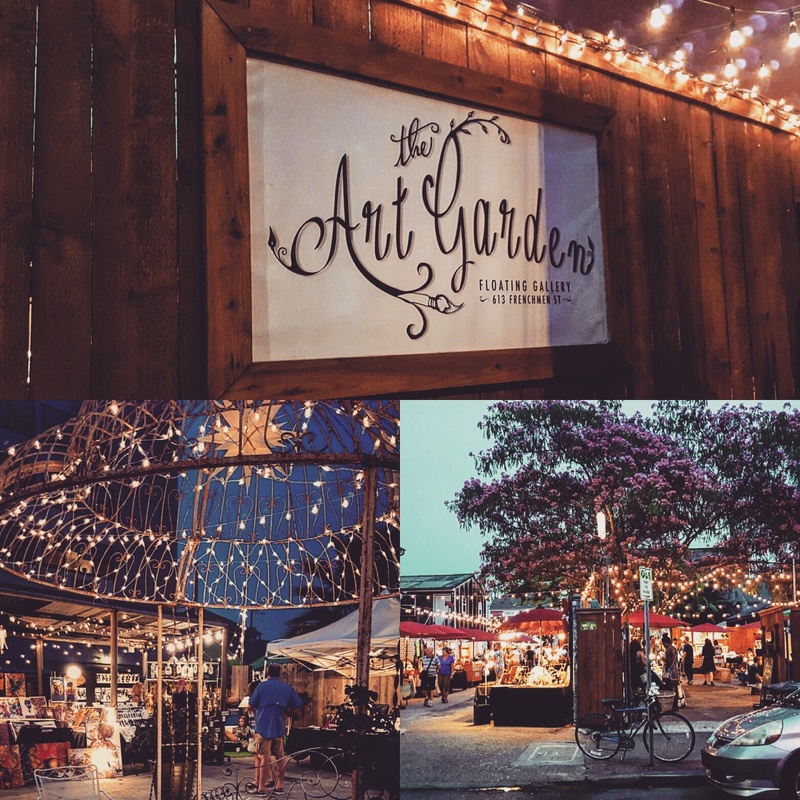 New Orleans – You would be crazy if you didn’t want to visit NOLA and head to the French Quarter. I want rum punch and karaoke in my life and I know this is the place to go. 3. 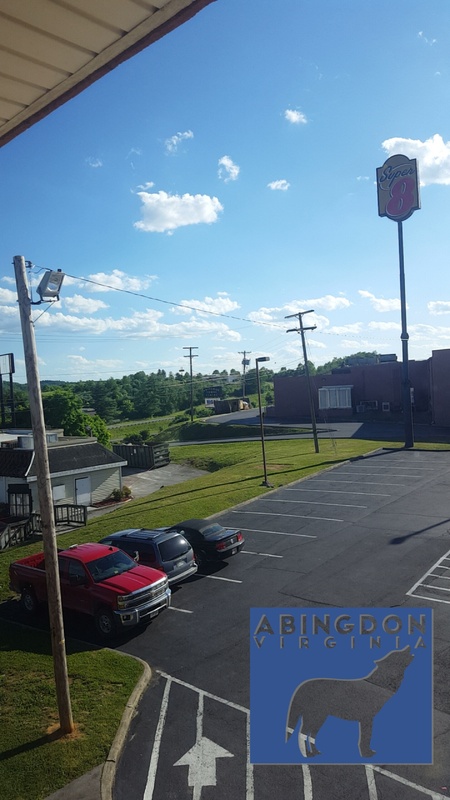 Abingdon – A random town we picked to stop off on our way to Nashville, yet one of the places I’m most excited for because we really don’t know what we’re going to find. 2. 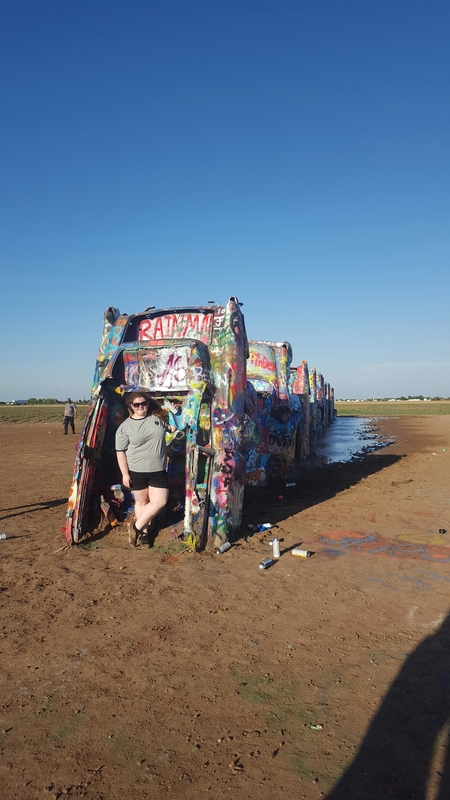 Amarillo – I’m definitely looking forward to going here, it’s all about heading to Cadillac Ranch. It was one of the first things we found to do on our journey so needless to say I’m looking forward to it. 1. 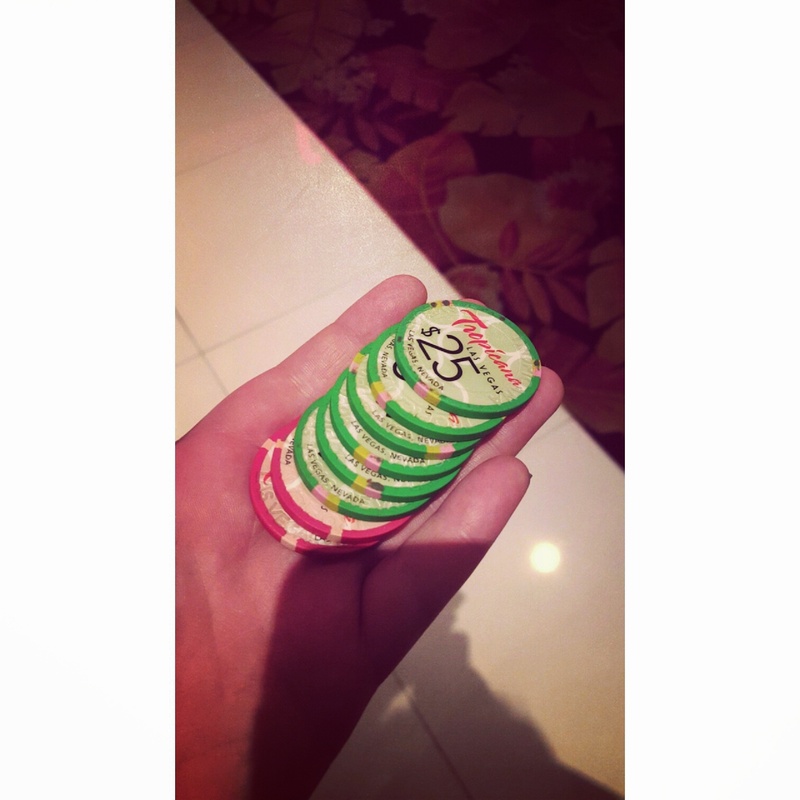 Las Vegas – Las Vegas has to be another for me. I think this is mainly because I was meant to be there over new year and for certain reasons couldn’t. I missed out on my first chance of going so I can’t wait to actually be there. Obviously I’m looking forward to going everywhere and actually picking these 6 was harder than it seems. Once my trip is over I’ll be able to compare and see if these 6 were the places I enjoyed most! Feel free to leave me a comment below. Have you been to any of these places? Tell me about your experience. 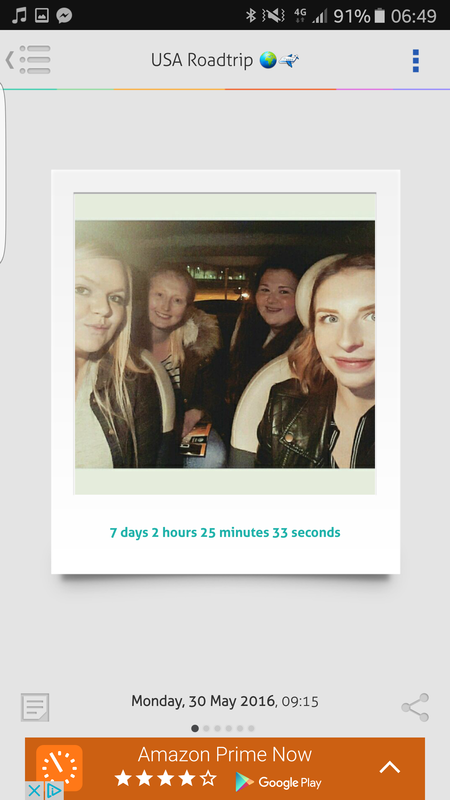 If you’ve been following me you’ll know I’m on countdown mode till my road trip in America. As of today we’re ONE WEEK out. Time is flying past now. This time next week I’ll be at the airport waiting to board my first flight. I’ll be with my 3 best friends both nervous and excited about what our month in America holds. I can’t wait to go on this adventure with my best friends. I also can’t wait to share my experiences with all of you! Remember if you have instagram and want to see something from our trip (probably 10 posts a day let’s be honest) follow our group instagram. Did I mention it was one week away? The next week is going to be pretty full on for me. I’m working everyday, 10-13 hour shifts. Luckily I’ve already packed my case, I just need to double check I do have everything. I’m scared I’m going to forget a lot of things. I’ll need to write a check list for myself, although what do I need to make sure I take? My head is all over the place at the moment so god knows what will end up on my list. Feel free to leave a comment below. I’ll hopefully be posting as much as I can while I’m away, so I look forward to sharing my adventures with you all. As most of you will already know, I’m off on a road trip across America with 3 of my best friends in just a few weeks time. (If you don’t know about it basically the 4 of us are heading off to America at the end of May for a month. We’re driving from Boston to San Francisco and we’re all incredibly excited!). 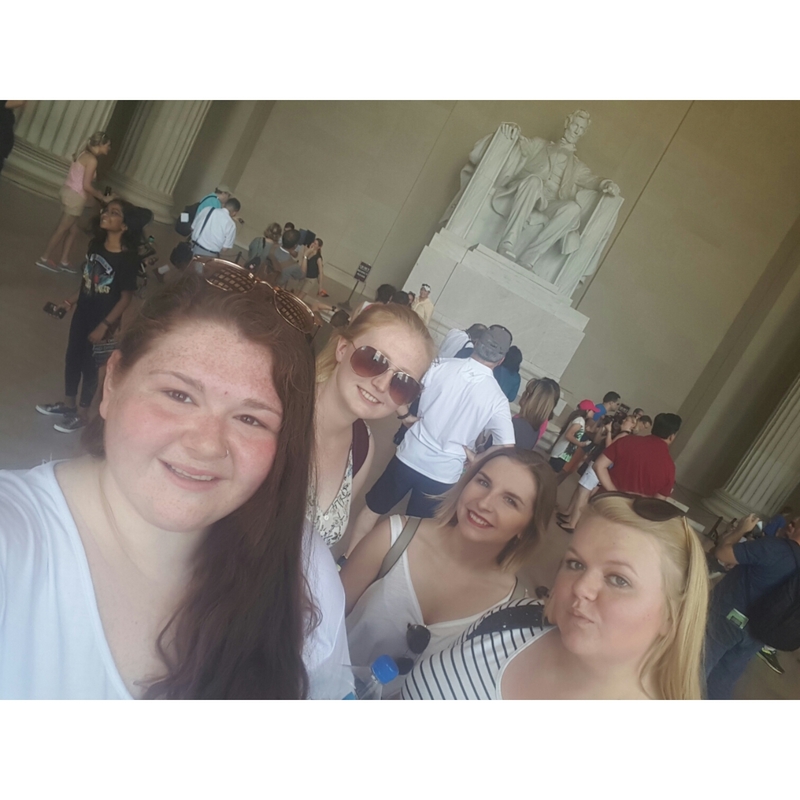 4 travelling Scots take on America. The east coast, the west coast and everything in between. This post is basically me just letting you all know that if you want to follow our journey, not just through my eyes but through my friends as well then feel free to follow our group instagram here. If you don’t want to follow along, that’s all fine and dandy but I will have you know you’re going to miss some epic car videos of us pretending we’re various celebrities in music videos, loads of Scottish banter, plus many tourist pictures and some not so tourist pics.. Plus a lot more of course. Don’t worry though if you decide not to give us a little follow, I will be trying my best to update here with new posts about how our trip is getting on as regularly as I can. Which should be easily enough done as a) I’m a complete night owl and b) when I’m in the car and not driving I won’t have much else to do. If you’re going to decide to follow us on our instagram (@roadtrippin16x), I guess I better make a quick introduction for the other 3 girls! From left to right we have; Clare, Shona, myself and Ellé. You can also follow our personal Instagram accounts if you like. Like I said, if you fancy seeing about our American adventure, then give our Instagram a follow. We leave for our trip in 23 days, so look out for all our posts to come. Thank you if you follow. Like I said, if you don’t I’ll try update here as much as I can so give me a follow here. Leave me a comment if you’re going on or have been on a similar trip! road trip, travel, Wanderlustabingdon, amarillo, America, american road trip, best friends, boston, ennis, farmington, friends, grand canyon, instagram, las vegas, los angeles, nashville, new orleans, New york, road trip, san francisco, san simeon, summer, travel blog, travel posts, wanderlust, Washington D.C.
With 99 days to go we’ve raced through the trebles and have hit the doubles. Some of you may be sat there thinking, “what is she talking about?” Well, if you’ve read just a few of my previous posts you’ll have realised that I’m going on a road trip across America this coming May and well, there’s only 99 days until I go. That ⬆ is our route (roughly). 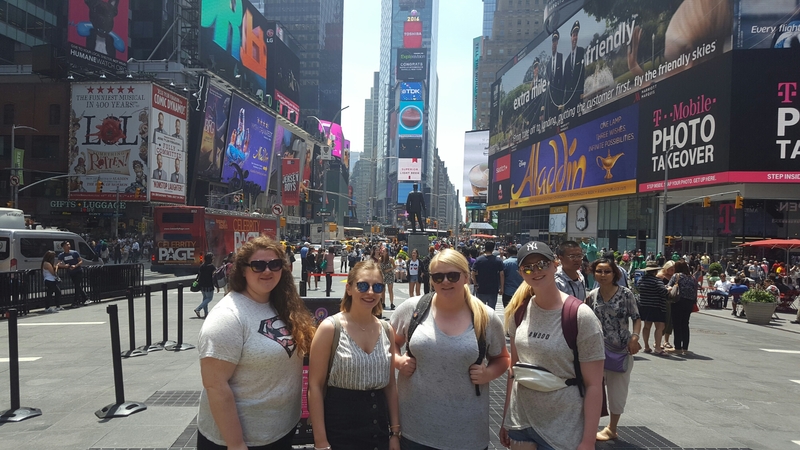 4 Glaswegians spending a month travelling America, it’s sure to be a fun-filled trip. Excursions are getting booked in the next coming weeks. It’s mainly just a waiting game now. Counting down the days until it’s time to get on our first plane to Amsterdam for our stopover before we finally land in Boston. I shall be making sure to keep this up to date and post regular posts while I’m in America (when I’m not behind the wheel and it’s one of my friends there’s no reason not to). Feel free to leave me a comment whether you’ve been on a similar trip, currently on yours or are in the planning process. Let me know! Or just drop by and say hello.